Once upon a time, online shoppers used the internet to find cheaper prices for products they had already decided to buy. Nowadays, the web is central to the purchase decision journey - it's part of the reason to buy. In fact, half of shoppers spend at least 75% of their total shopping time conducting online research, according to Hubspot. Furthermore, by 2020, 80% of the buying process is expected to occur without any direct human-to-human interaction (robots are comin'), meaning some sort of virtual sales assistant-equivalent is vital, with more shoppers shifting online than ever before. So, how can ecommerce retailers turn discovery into sales and replicate the virtues of sprightly sales assistants, online? Guided selling, perhaps. This blog post will give you a quick peak behind the genius of guided selling, its applications and a few top notch examples (and perhaps a couple of puns). Guided selling automates the process of analysing customer needs, defining the solution and generating a proposal to fulfill those needs with intent to inspire a purchase. Provide information to help the shopper feel confident about the purchase. Basically, guided selling can be seen an extension of the user experience, an additional gem in your persuasive conversion push, a clever tool for customers to play with while gently nudging them down the purchasing path. Think of it as a subtle, fun but pushy sales assistant. Far from an aggressive shove towards the buy button, or a shepherd stick towards sales, guided selling gently gleans information from the user, learning preferences and requirements on a journey of discovery and intrigue: equal parts vital to the decision-making process. Google's Android OS phone finder is an excellent example of how to use guided selling to streamline a rather complicated product range. Users can select a number of requirements for their (potential) new handset from a range of features, such as camera quality, gaming capabilities and 'keep fit' features. The tool leaves phone-hunters with a selection of handsets that best meet what they're looking for - between 65-70 Android handsets are currently on sale in the US - to refine a daunting product range. 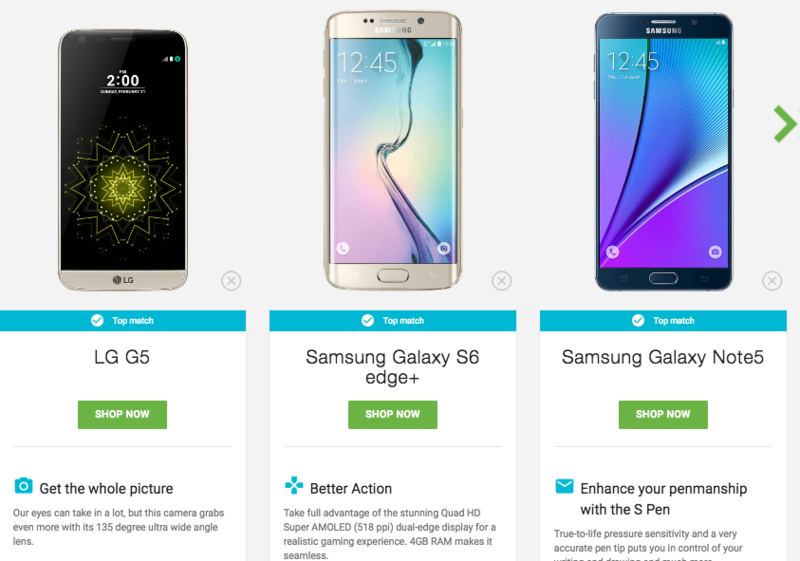 The process introduces users to key product features, so shoppers can learn more information about handsets, helping to build a stronger and more confident case for clicking 'shop now'. Why we love it: fun UX enables users to select a range of diverse product requirements, which is great, especially for a complex product range with a wide range of technological specifications. The selling guide provides context, putting the products into terms shoppers will understand. Similarly, Victoria's Secret takes the guided approach to selling, gleaning dimension requirements and product preferences, then delivering results based on suitability. 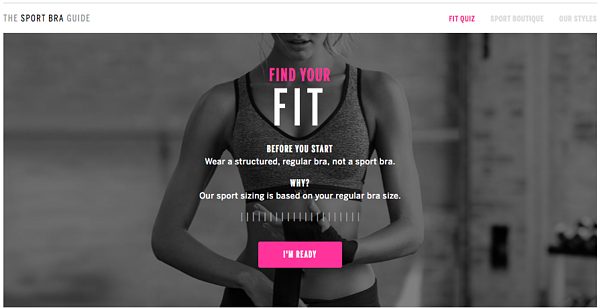 The 'Sports Bra Guide' starts with 'The Fit Quiz' (a virtual equivalent of that bra fitter in the M&S changing rooms with the warm hands) to recommend the best products based on user dimensions. 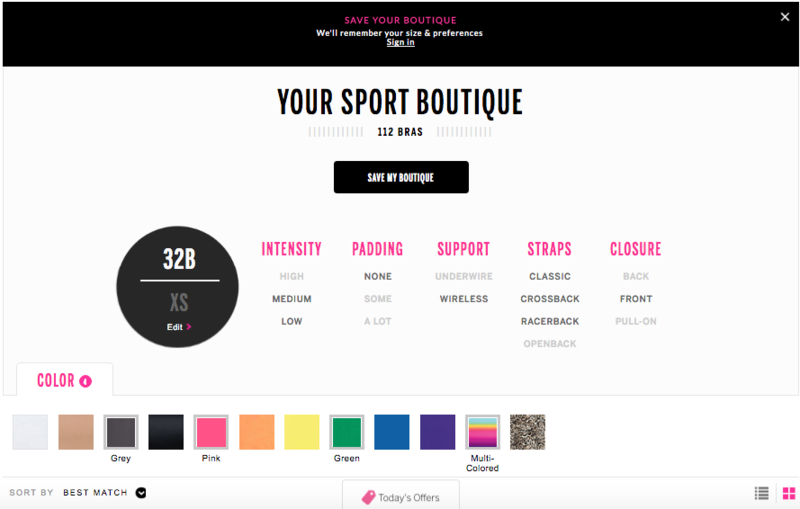 The 'Bra Guide' then takes you onto the 'Sports Boutique', which lets users select a range of additional product requirements such as colour, strap design, etc. Users are left with a defined range of options that closely match what they're looking for, which of course, are instantly shoppable. Why we love it: Victoria's Secret's large and varied product range is the perfect use case for guided selling, stepping in to glean requirements and preferences in order to cherry-pick the most suitable products, while remaining simple and easy. Simplifying a complex process and delivering highly relevant products. Well, well, well. Lookie here. Sephora's beauty insider profile is a genuine class A example of guided selling at its best: delivering product suggestions based on a simple understanding of customer needs. 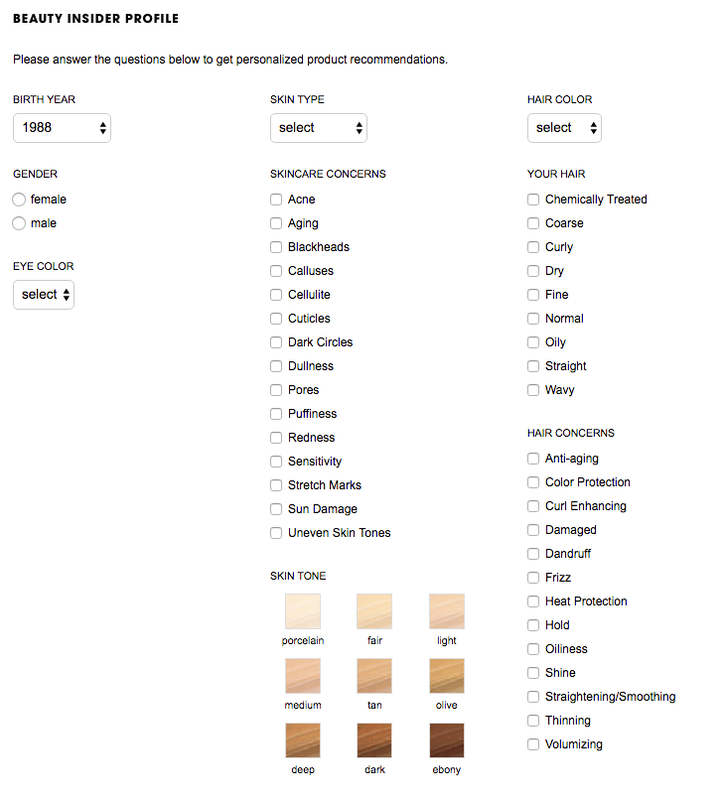 The tool asks customers to select a range of characteristics, such as skincare concerns, hair colour and hair concerns. Et voila. 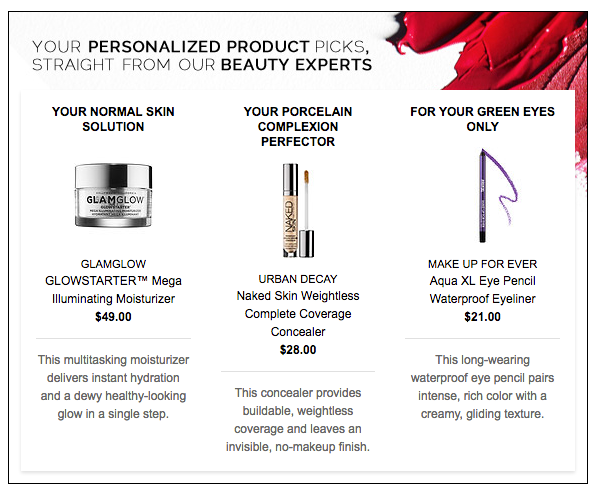 Sephora presents some 'personalised picks' direct from the experts. Twinned with great copy and powerful imagery, why wouldn't you click buy? 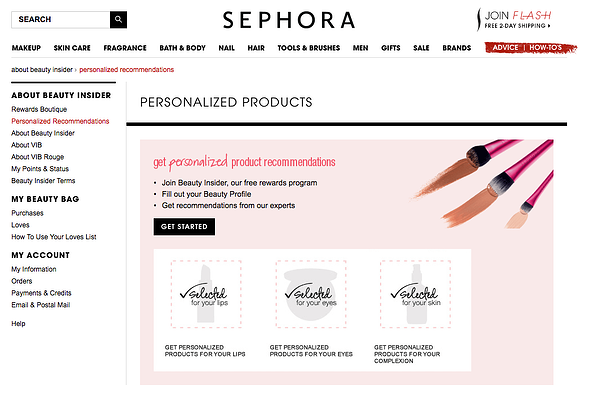 Sephora also uses the opportunity to collect information and to target future content to its beauty-hunters, based on ther preferences. A nice way of turning discovery into action! Why we love it: Sephora delivers very targeted products direct from the experts, humanising the purchase decision journey and wooing the curious shopper, with a witty tone of voice and strong product imagery. As discussed in a previous post exploring quizzes in ecommerce, Topshop's style quiz stands out as another great example of guided selling. 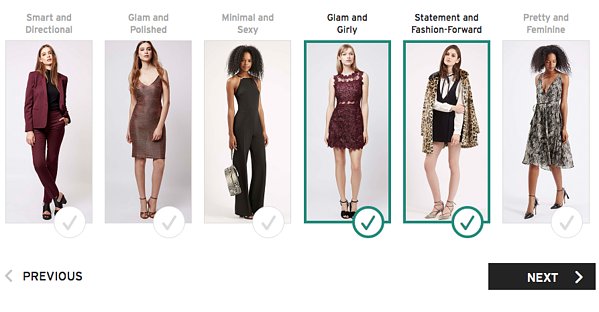 The style quiz delivers a great wardrobe based on preference data collected during the quiz, presenting items in a catalogue style to make their product offering more shoppable and relevant to individual users. Topshop's style quiz also uses the opportunity to use the information gleaned during its quiz for future marketing, delivering personalised content to its users email inboxes based on the user's style personality. 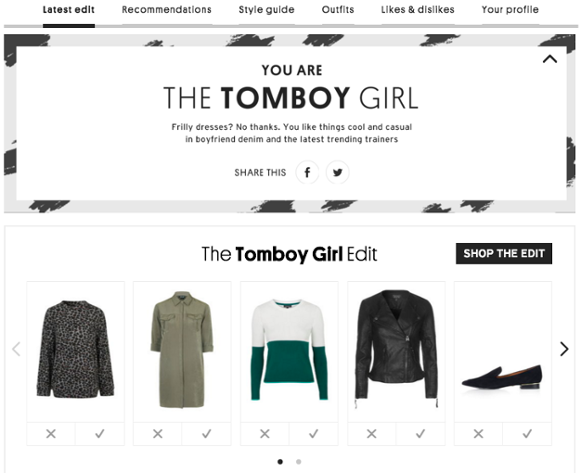 Why we love it: Topshop's guided selling tool doesn't just guide, it integrates data into Topshop's email marketing strategy, using preferences to target future communications with highly personalised content. Guided selling systems have an important part to play in making the online user experience more interactive and product presentations more exciting. Rich media content and interactivity can support the experience, adding charm to the UX that will keep people returning. Guided selling should help shoppers make relatively complex buying decisions irrespective of whether the product itself is complex. However, it can have a part to play in demystifying products that have a complex proposition, an example represented in the aforementioned Android example. While the widely used search methods of text search and category navigation are irreplaceable components of every large website, suited to search-oriented use cases, guided selling can offer that added flare, actively guiding users through the search process while showing off products in an entertaining way. "In a world of infinite choice, context - not content - is king." - Chris Anderson. 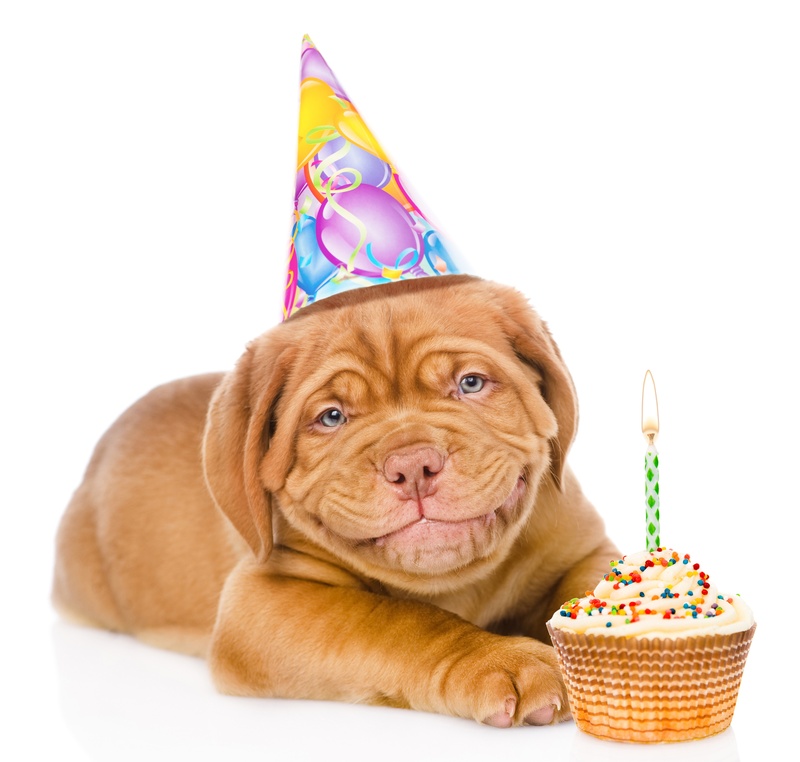 Put a dog and a cake alone in a room and count the seconds until two become one. Likewise, place a relevant product in front of a curious shopper and watch temptation click buy. 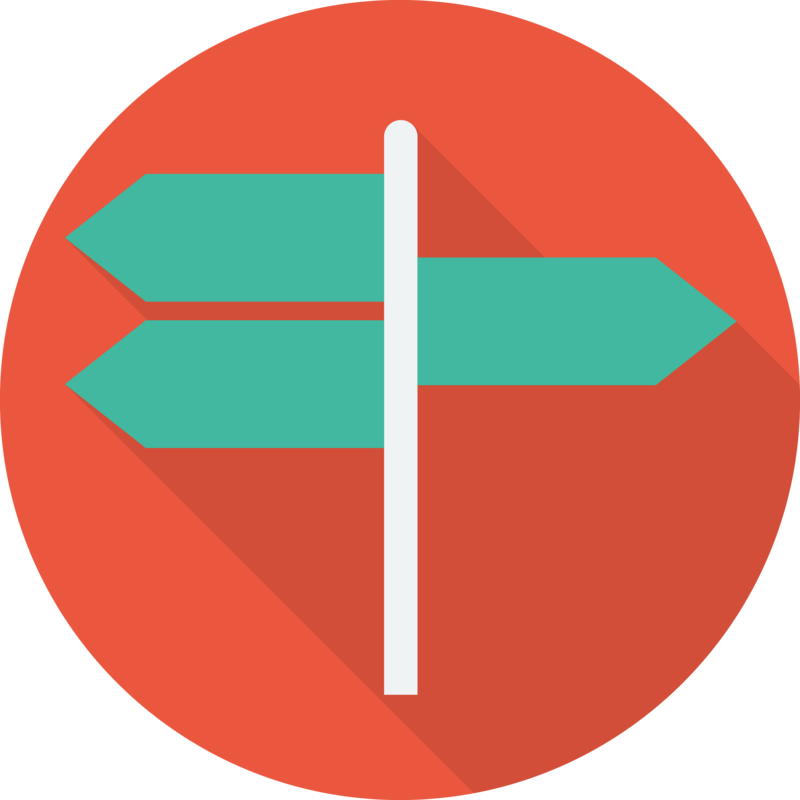 Guided selling could help your business. But retailers should weigh the time it takes to set up and integrate a solution against resources and goals, while considering whether the product range justifies the effort.